Ships and boats hold a special place in the human experience. 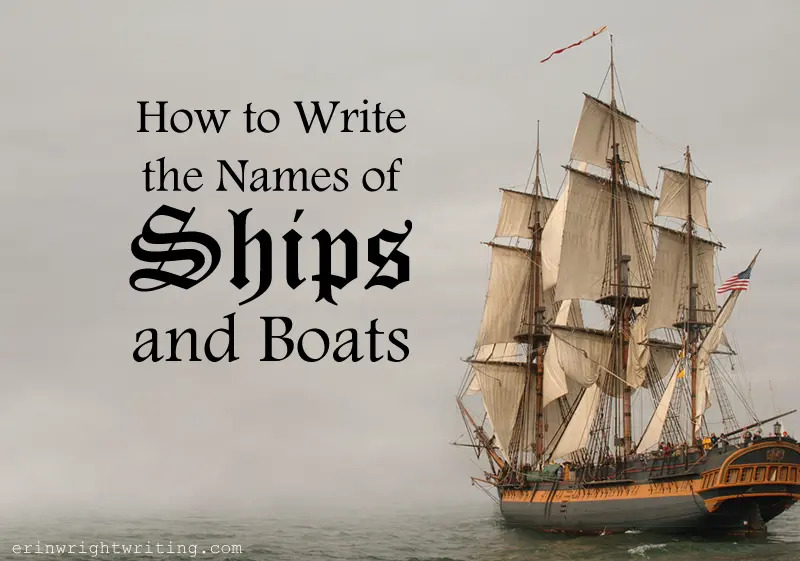 Our ancestors marked this importance by giving thoughtful names to their watercraft just as we do today.1 In fact, we even have guidelines for how to write the names of ships and boats to set them apart from less adventurous modes of travel, like minivans. We’ll begin by looking at the guidelines for writing ship and boat names without abbreviations and then with abbreviations. We’ll conclude with a discussion on whether we should use gendered or gender-neutral pronouns for ships and boats. Draken Harald Hårfagre is the world’s largest Viking ship currently sailing. The criminals escaped on the stolen yacht, fatefully named Found Money. Important Note: Those who follow The Associated Press Stylebook or the U.S. Navy Style Guide should see the Style Guide Alert at the bottom of this post for an alternative recommendation. The freighter SS Edmund Fitzgerald sank in Lake Superior in 1975. Nancy Reagan christened USS Ronald Reagan in 2001. The Wikipedia article “Ship Prefixes” offers an extensive list of additional watercraft abbreviations from around the world. Periods don’t appear between the abbreviated letters. 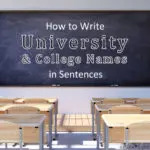 See “How to Abbreviate United States” for information on abbreviating the country’s name in general writing. Important Note: Those who follow the U.S. Navy Style Guide should see the Style Guide Alert at the bottom of this post for information on using the word the before ship and boat names. 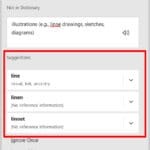 Despite this update, I encourage historical authors to research pronoun usage in the time period they are writing about because historically accurate pronouns in dialog can create and maintain authenticity. 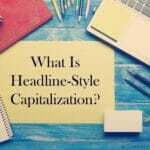 Further Reading: When Should You Capitalize Oceans, Mountains, Lakes, and Other Geographic Features? 1. Encyclopedia Britannica, s.v. “History of Ships,” accessed November 14, 2018, https://www.britannica.com/technology/ship/History-of-ships. 2. The Chicago Manual of Style, 17th ed. (Chicago: University of Chicago Press, 2017), 8.116; “How do I format the name of a ship in MLA style?” Ask the MLA, The MLA Style Center, accessed November 14, 2018, https://style.mla.org/format-the-name-of-a-ship/. 3. The Chicago Manual of Style, 17th ed. 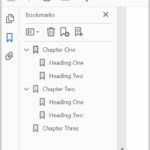 (Chicago: University of Chicago Press, 2017), 8.116; “How do I format the name of a ship in MLA style?” Ask the MLA, The MLA Style Center, accessed November 14, 2018, https://style.mla.org/format-the-name-of-a-ship/. 4. The Gregg Reference Manual, 11th ed. 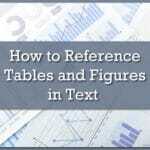 (New York: McGraw-Hill, 2011), 326. 5. The Associated Press Stylebook 2018 (New York: Associated Press, 2018), 35; The Chicago Manual of Style, 17th ed. (Chicago: University of Chicago Press, 2017), 8.116; “How do I format the name of a ship in MLA style?” Ask the MLA, The MLA Style Center, accessed November 14, 2018, https://style.mla.org/format-the-name-of-a-ship/. 6. The Associated Press Stylebook 2018 (New York: Associated Press, 2018), 35, 156. 7. U.S. Navy Style Guide, s.v. “ship names,” accessed November 14, 2018, https://www.navy.mil/submit/navyStyleGuide.pdf. 8. U.S. Government Publishing Office Style Manual (Washington, DC: U.S. Government Publishing Office, 2016), 11.6. https://www.govinfo.gov/gpo-style-manual. 9. U.S. Navy Style Guide, s.v. “ship names,” accessed November 14, 2018, https://www.navy.mil/submit/navyStyleGuide.pdf. When no italics are available (like on Facebook), should I use quotation marks to indicate the name of a ship? Hi, Don. That’s a great question. Unfortunately, I don’t have a great answer because we don’t have an official style guide for social media posts…yet. If italics aren’t available, I would just capitalize the name of a ship like other proper nouns. Thank you for reading my blog!